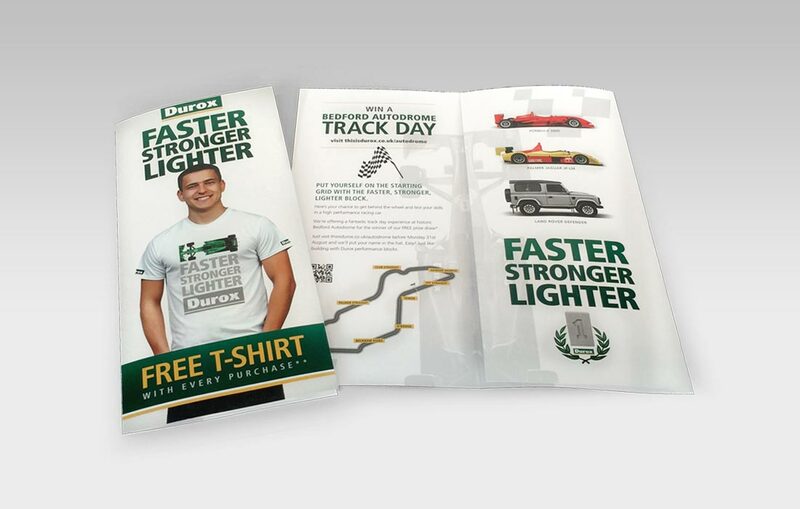 After the recession and a slump in the construction sector had significantly eroded sales of Durox, Tarmac Building Products asked us to develop a promotion to raise awareness of their versatile, lightweight building block among merchants, contractors, housebuilders and specifiers in South East England. 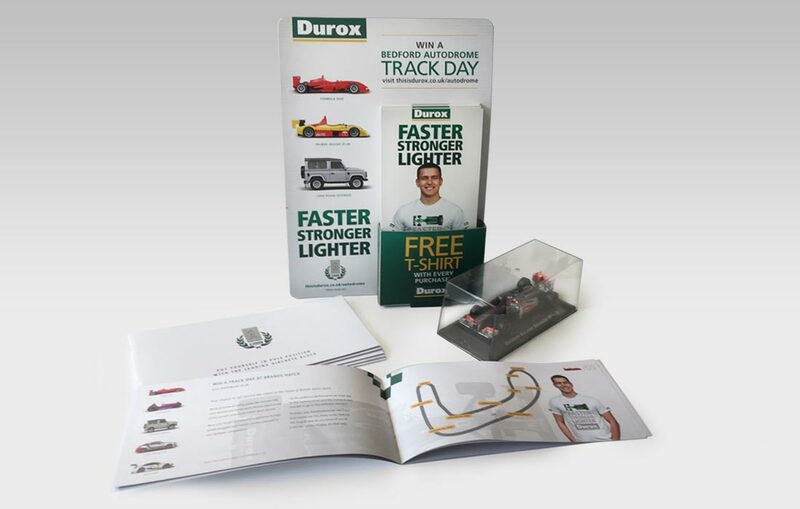 Under the theme of ‘Faster, Lighter, Stronger’, we targeted each group with a free prize draw competition to win a track day in an assortment of performance sports cars. 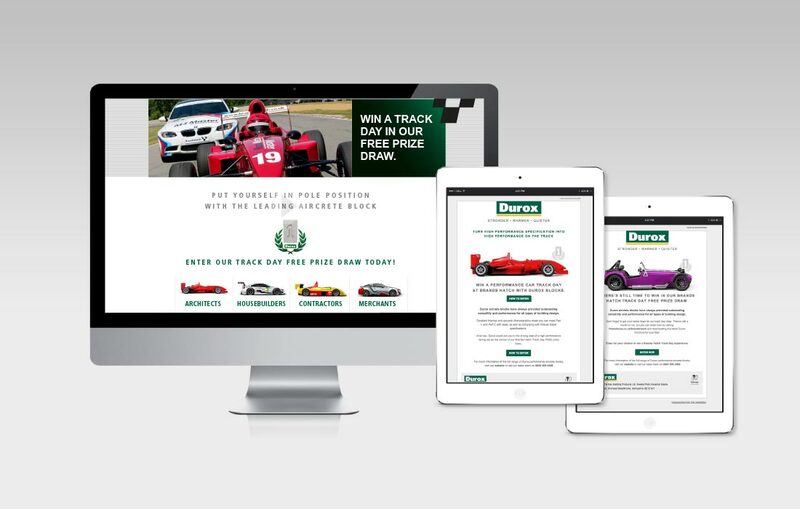 Segmented email campaigns drove entrants to a microsite where they were able to enter their details and put their name into the the draw, with digital display remarketing banners being served to those who visited but didn’t get as far as entering. 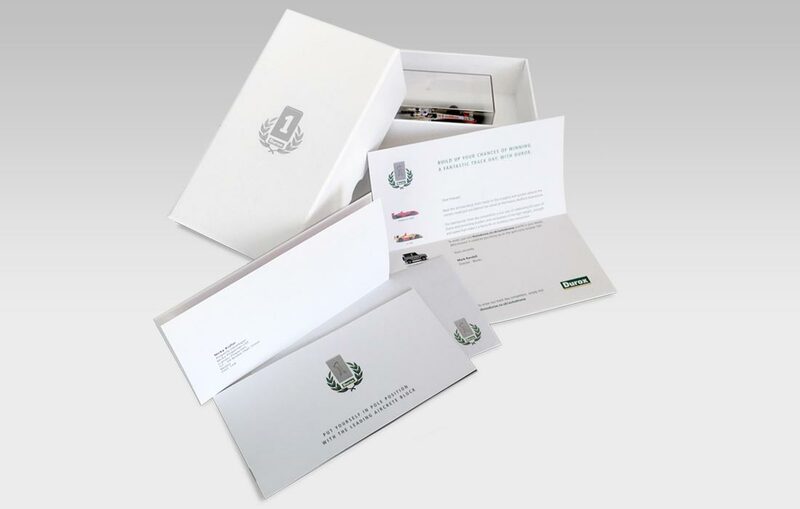 Merchant branch POS and a T-shirt giveaway further incentivised contractors, while direct mail shots consisting of a letter and product leaflet carried the campaign to those in each audience for whom there were no email contact details. 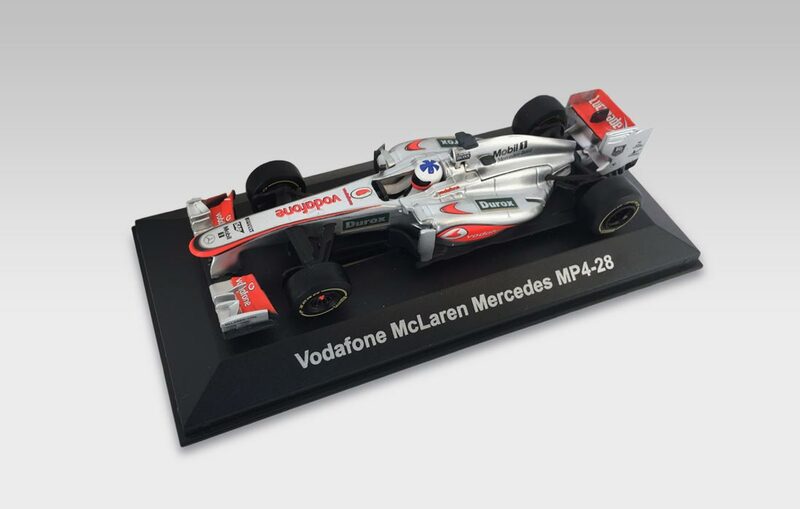 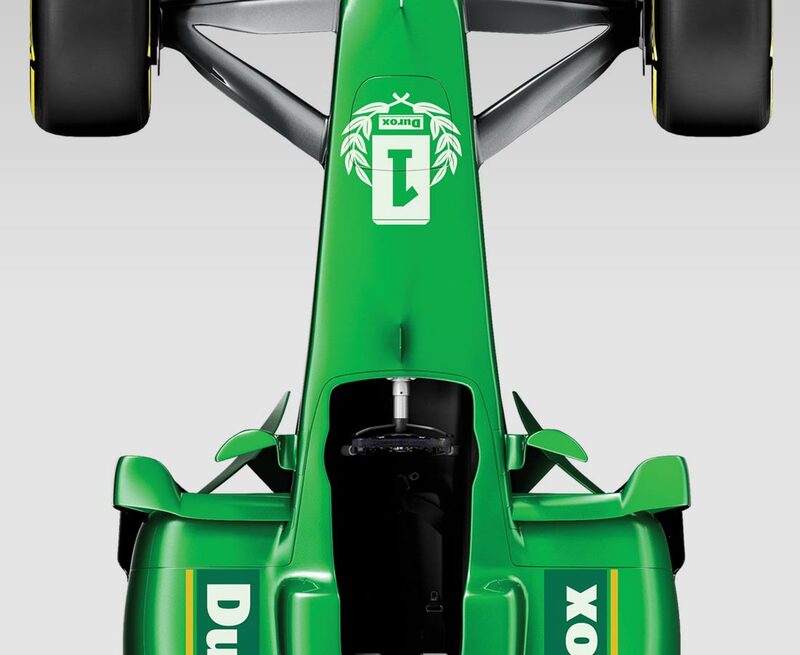 In addition, a nominated ‘Top 100’ list of high value customers received a personalised DM piece featuring a Durox branded model Mclaren F1 car. 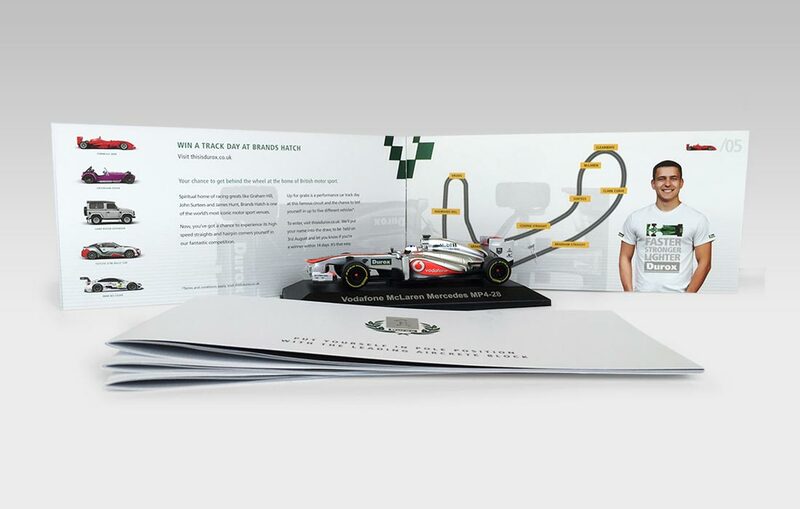 By the time the competition closed, the campaign had amassed over 300 unique entries – each one a new addition to Tarmac’s database – and 30 brand new merchant accounts.